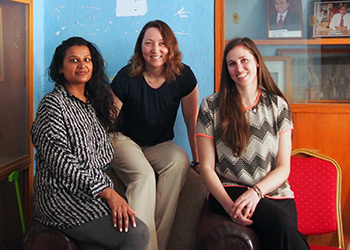 Calgary pediatrician Dr. Jenn Brenner works with Healthy Child Uganda to help the African nation increase understanding and capacity to improve child health. We’ve had great outcomes and have shown that with focused activities you can have a measurable impact on child and maternal health. Our goal has always been to build capacity and then leave communities in a better position to then manage on their own. 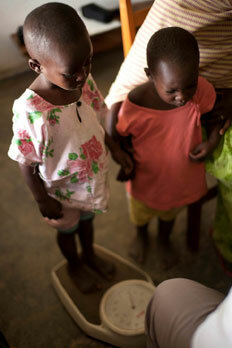 Watch this video to learn more about the Healthy Child Uganda initiative. Healthy Child Uganda was formed in 2002 as a partnership between the University of Calgary, the Canadian Pediatric Society and Mbarara University in Uganda. “We recognized that there was this huge challenge in terms of maternal and child survival in rural Uganda,” recalls Dr. Jenn Brenner, a pediatrician at Alberta Children’s Hospital who teaches at the University of Calgary and is one of the founding members of the partnership. “Our focus from the start was on the promotion of community-based health practices.” This includes training community health workers, who are selected by their own communities to receive basic training on what they can do to improve the health of children in their communities. Since its launch, Healthy Child Uganda has grown to serve almost half a million people and train 3,000-4,000 community health workers.